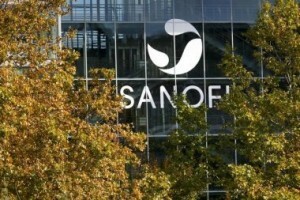 Sanofi announced that it expects its per share earnings to be stable during 2016 after it reported lower income during the fourth quarter on Tuesday. Income was hurt by a drop in sales of its cancer and diabetes treatments, as well as other prescription drugs. The drug maker based in France is going through a big reorganization to address its dropping sales for its best selling drug Lantus. It said that sales of its latest insulin treatment called Toujeo that was launched in 2015 doubled during the fourth quarter in comparison with third quarter sales of 2015. Sanofi shares were lower by 0.4% as of Tuesday afternoon in Europe, which were 11% down since the start of 2015 and 25% down since November of 2015 when its reorganization was announced that would prevent meaningful growth in profit over the upcoming two years. In October of 2015, Sanofi shocked its investors when it warned that sales in its division for diabetes, one of its biggest revenue as well as profit drivers, would fall until 2018. During the final three-month period of 2015, revenue from its diabetes division was down 12.5% to end the quarter at 1.9 billion euros equal to approximately $2.1 billion. Sanofi’s net income for the fourth quarter was down by 13.5% using a constant exchange rate. It ended the three months at 1.71 billion euros as sales were down to 9.28 billion euros a fall of 1.6%. Analysts were expecting net income of more than 1.69 billion euros, with sales of more than 9.34 billion. In its reorganization, Sanofi is planning to have costs of 1.5 billion euros before the start of 2018, but then it is expecting its per share earnings to grow at a faster rate than sales. The pharmaceutical giant, which adopted a more simplified structure that is centered around its five global divisions, is negotiating a reduction in headcount globally and will give figures before the middle of 2016, said Olivier Brandicourt its CEO on Tuesday. In France, the company is considering a plan for voluntary early retirement that could include job cuts of almost 600 over the next three years.